This is one not to be missed and without a doubt will take the title of the UK's largest valentines fair to date. Expect thrilling roller coaster's and over a full week of special events, attractions & thrill seeking experiences to remember as Manchester welcomes its first ever Valentines Fun Fair. A mass of amazing rides and attractions will be brought together to create one of the largest events of its kind, which includes the likes of huge firework displays, a real ice rink, tipi bar, waltzers dodgems, mission space, 2extreme, high roller, the carousel, the big apple roller coaster and more than over 100 other spectacular attractions topped off with FREE on-site secure parking. With an incredibly cheaor £1 admission price you will be rewarded with over £15 discount vouchers on entry! The family-friendly venue welcomes visitors of all ages, with ice penguins available for hire for those who want to learn the basics or need a skill refresher. 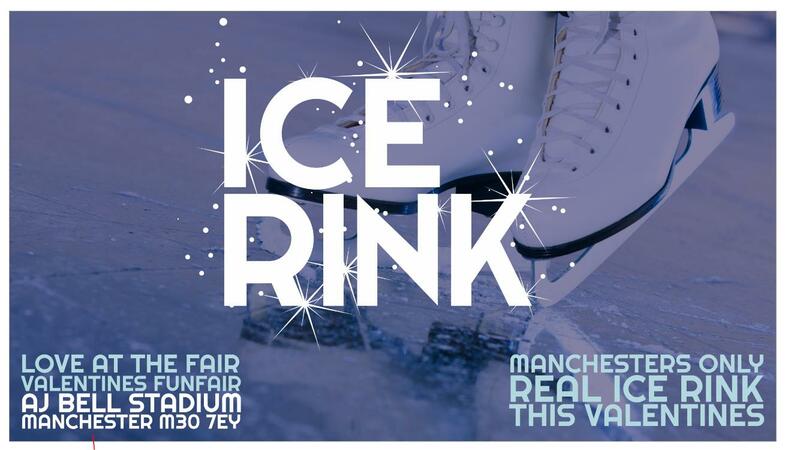 The ice rink is set up at the AJ Bell Stadium, conveniently accessible via the M60.